Dr. Frank Kaufmann completed his doctoral studies under Professor Daniel Patte, of Vanderbilt University's Graduate Department of Religion. 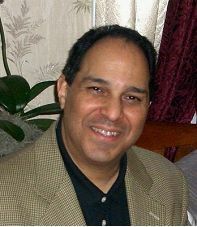 He is editor-in-chief and project leader of New World Encyclopedia, founder of the Values in Knowledge Foundation, director of the Inter-Religious Federation for World Peace (IRFWP), and was editor-in-chief of the scholarly journal Dialogue and Alliance, raising it to receive awards from the American Theological Library Association (ATLA). Dr. Kaufmann has worked in religion and conflict resolution for 35 years, at times in physical danger. His missions have taken him to areas of conflict, including Israel, Palestine, Croatia, the Eritrea – Ethiopia border, India, Kashmir, revolutionary centers in the Philippines, the Arabian Gulf, and Sri Lanka. He teaches World Religions, Church History, Religion and Conflict Resolution, and other courses in the New York area and internationally, and enjoys a vigorous public speaking schedule on peace and conflict resolution. Please use this link for more biographical information on Frank Kaufmann. This page was last modified on 28 February 2012, at 15:42.